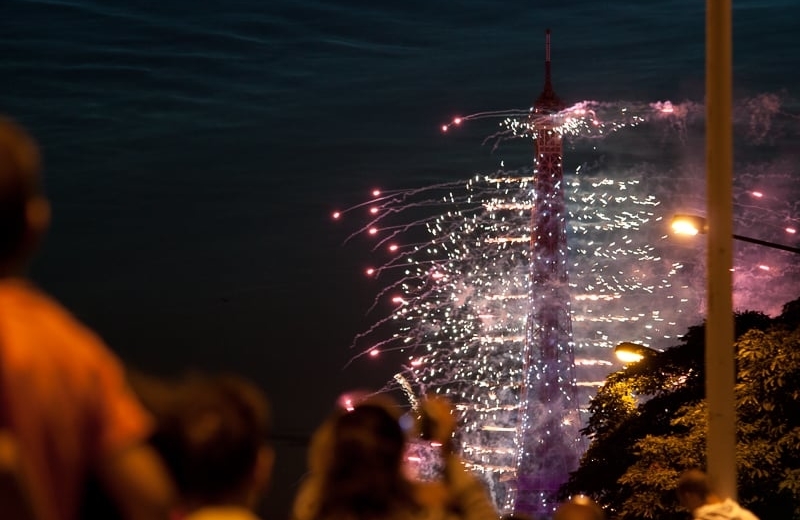 Home > French Blog > French Culture > Do You Know The Hidden Secret Spot to Paris’ Fireworks? 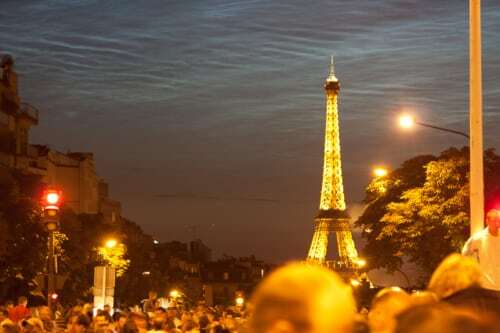 You go about enjoying your day in the City of Lights, take a long bath, have a nice relaxing dinner with friends/family, sit down on a comfy couch and tune in to TF1 at 10:30PM to watch the Bastille’s day fireworks like millions of French do… but then, why did you come to Paris? You could have just tuned in to TV5 International from your home in Springfield! You are truly lucky and befriend a Parisian with an apartment (or even better a ‘péniche’) with great view of the Eiffel tower. You enjoy your champagne and experience life the way it is supposed to be (next year, do invite us !!). You are softcore and arrive at La Basilique du Sacré Coeur in Montmartre around 6PM with a jacket, one sandwich and… 1 bottle of wine per person. You’ve basically gained back 8 hours of your life but traded it with seeing the fireworks from more than 4.5 km (2.8 miles) away. You’ll still have to fight for a decent spot but it’ll be a great experience too (although relatively very quiet since you will not hear any of the explosions). You are like Camille and I who do not have the courage nor stamina to wait in one spot for more than 17 minutes. You then proceed on strolling to the Montparnasse neighborhood, more precisely the corner of Boulevard Vaugirard and Boulevard Pasteur (map) and find a place for dinner (looking for something different, we chose an Italian place and ate a more than correct prosciutto and arugula pizza). After dinner and less than 20 minutes before the firework starts, you casually walk around a little to look for a spot. The best thing about Boulevard Pasteur is that the street is very straight and goes downhill so no matter where on the street you stand (between Place de Catalogne and Métro Pasteur), you’ll have a very decent view of the Eiffel Tower’s top 2 thirds. Now, don’t get me wrong, you will not feel like you landed on a deserted island or in a French supermarket on Sunday afternoon! However, you’ll only be dealing with 4 to 5 thousand people…That is a lot more manageable even for yours truly. And since you’ll also be less than 2 km away from the action, you’ll get to hear the explosions too which definitely adds to the fun. Seeing the fireworks in Paris this way was truly amazing considering the small amount of time we had to wait around. 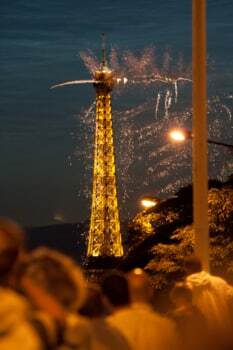 To know more about Bastille Day in France – customs and French vocabulary, check out Camille’s article. 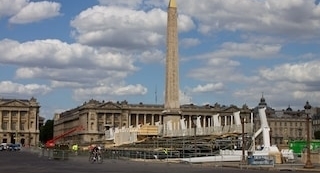 You may also like Vive la France – patriotic expressions in French. Don’t Visit Paris Near Bastille Day!